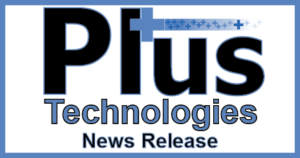 Plus Technologies announced in its January News Release the company results for 2016. Plus Technologies had a very prosperous and successful year. Not only were sales significantly up over four times the industry average but profits increased significantly as well. Plus Technologies’ long-time partnership with Lexmark continues to grow. Lexmark has been a Plus Technologies reseller since 2004. In 2016, sales through Lexmark more than tripled. Lexmark has successfully sold OM Plus print software into the healthcare industry where Plus Technologies has partnered with Lexmark to deliver top quality EMR output systems, pull-print solutions including Imprivata authentication based systems, plain paper prescription printing software, as well as print statistics products. OM Plus software continues to be a popular choice in healthcare environments. Many new customers have taken advantage of Plus Technologies solutions that integrate with common healthcare applications such as: Epic, Cerner, McKesson, Allscripts, and others. Healthcare customers also take advantage of solutions that centralize print spooling and queue management, tamper resistant Rx prescription printing on plain paper, secure print release/pull printing, cloud based printing for remote sites, printer fleet management and Imprivata OneSign integration. In December alone Plus Technologies print software was selected by five healthcare organizations. Overall, Plus Technologies continues to expand its geographic and industry specific footprint through increased partners and relationships. A new 2.2.0 release for OM Plus Delivery Manager advanced, intelligent print management software. HP, Xerox, Lexmark and Dell enhancements were added to OM Plus My-Print-Delivery secure print release/pull print solution. Updated releases for OM Plus i-Sat remote cloud based printing solution are now available. Updates include an internet based document delivery solution for data centers to thousands of remote customer end points for a large SaaS based provider. In addition to user based data, the release of OM Plus Stats Manager II now includes enhanced, real time, device based data for statistics and analysis. Updated releases now include Lexmark and multi-vendor support for OM Plus (TRP) Tamper Resistant Printing solution. OM Plus My-Print-Delivery is certified for Imprivata OneSign environments. A new optional Web Client 2.1 user interface is available for OM Plus Delivery Manager. Plus Technologies, located in Ohio, has been developing enterprise level document and output management software since 1994. Plus Technologies; focus is on improving document related processes. Plus Technologies has thousands of customers, tens of thousands of server software installations, and millions of printers under management in 30 countries. We serve customers of all sizes as our products, licensing, and pricing are scalable upwards and downwards. Additionally, we have departmental as well as enterprise wide output management software implementations. We have successfully sold into many Fortune 500 organizations. One reason for our success is our willingness to respond quickly to our customers unique requirements. First, we listen to the customer to understand their environment and their needs. We work with the customer to determine the optimal solution. Additionally, if product changes are needed we make them quickly. Moreover, we offer pricing and licensing flexibility to suit our customer’s budget. Furthermore, our experienced, friendly services staff assists with implementation. Lastly, we provide world class support. This recipe has served us well over the years and as a result we have an extremely loyal customer base.